Once upon a time it was prohibited for commoners to enter the city without permission. It is now one of the most popular attractions for visitors. Tourism and globalization have been welcomed to the Forbidden City. The new generations of China embrace the change of, new vivid flavors and colorful sounds the waves of foreign culture crash over the Great Wall. Brick by brick a bridge of communication is being built, allowing new opportunity and ventures for the wise individual. 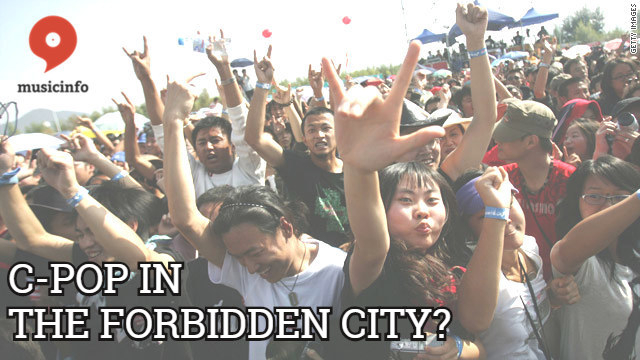 The modern music culture in China is essentially virgin, relatively untainted by outside culture, unlike the pop cultures of Korea and Japan who have established their modern pop cultures based on foreign influences. C-pop doesn’t exist, well, not in any way if compared to K-pop and J-pop. The pop music of Japan and Korea have been influenced by world music for decades and so is well established in the music that has influenced their particular sound. Do I need to say more? If you don’t distribute your music to China you will be missing out on an entire world of listeners and followers. Be part of the big picture and not just a small piece. How is it that so many tracks that have been distributed to streaming services throughout the world remain untouched at zero plays? Is it even that the musician who uploads their music to these platforms has not even listened or played their own music? What have they done to get visibility for their music? Do they not have any friends or family? This is where it starts, you need to promote your music at home and have those who trust in you and your music to spread the word. People are out of touch, relying on their gadgets to be connected to other people. Nothing is more real, more visceral or more telling of the person you are networking with than real human contact and interaction. When this is not possible you need to engage with your network more consistently and creatively to create and maintain that connection. This takes effort and time and interaction with your people and with your tools; social media, EPK, distribution platforms, the internet and even the old fashioned telephone, and network with like-minded people and events, always look for new opportunities. You must promote yourself and your music. No longer hide behind the curtain; It is now the curtain call and you are up! People need to see you, need to know how to find you; You must build your fanbase. Learn how to use the tools you need. Here you can learn how to start your own Weibo and WeChat account, if you use Google Chrome it can translate the pages for easier navigation.